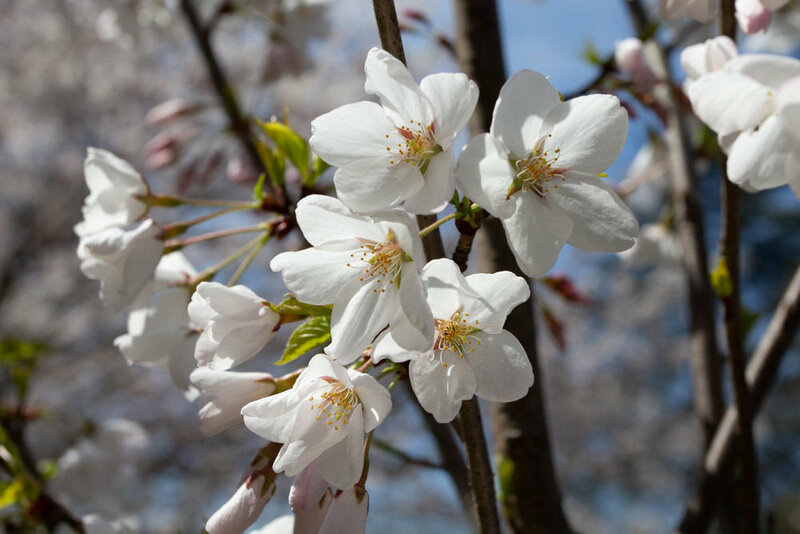 Episode 6 of Sakura Watch 2019 has been posted (read the latest update here). Few days of warmer weather has finally helped the trees to begin move well into the second stage of bud development. 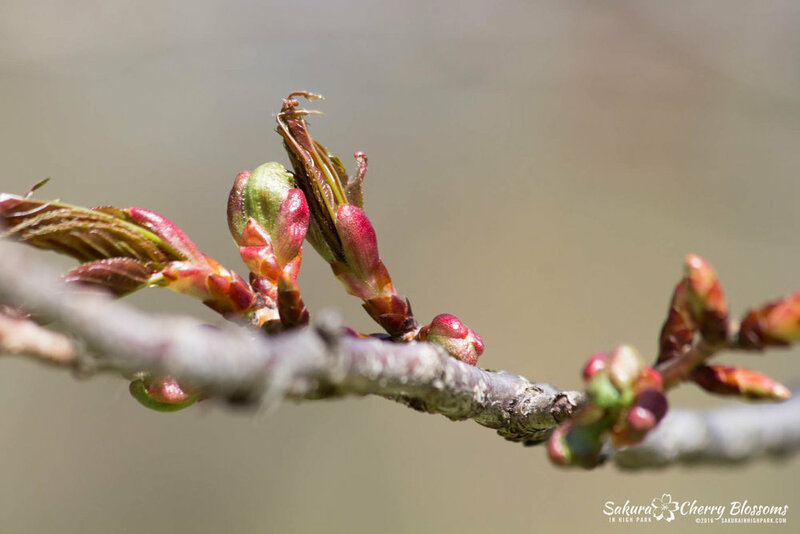 The blossom buds are now larger, well rounded and all showing prominent green tips. Bud progression is now entirely dependant on having consistent warmer weather. The temperatures are going to be in double digits for the rest of April, but lots of rain is also on the way. Excessive rain could slow things down a bit and push the bloom into May so the preference would be to see a balance of sun & rain instead. For now, all things continue to point to the usual bloom dates which range from of end of April or early May. But again, it’s too early for an accurate prediction, and more observation is needed. Thanks for visiting and be sure to read the latest post to see the video and photos. As always, watch for more updates soon! These are the peak bloom dates that I recorded since starting this website in April 2012. Note that 2016 there was no bloom, with less than 25% of buds flowering. Each year the dates grow to be more unpredictable due to erratic weather changes. Tracking the progress of the buds to blossom is the best way to predict when they will bloom next. Thank you all who respect the sakura // cherry blossoms - your care helps ensure that everyone can continue to enjoy them year after year.